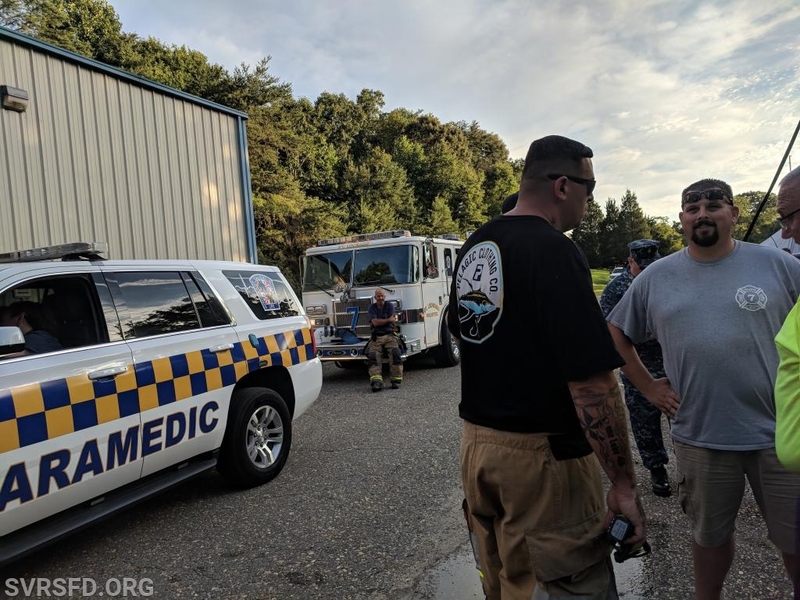 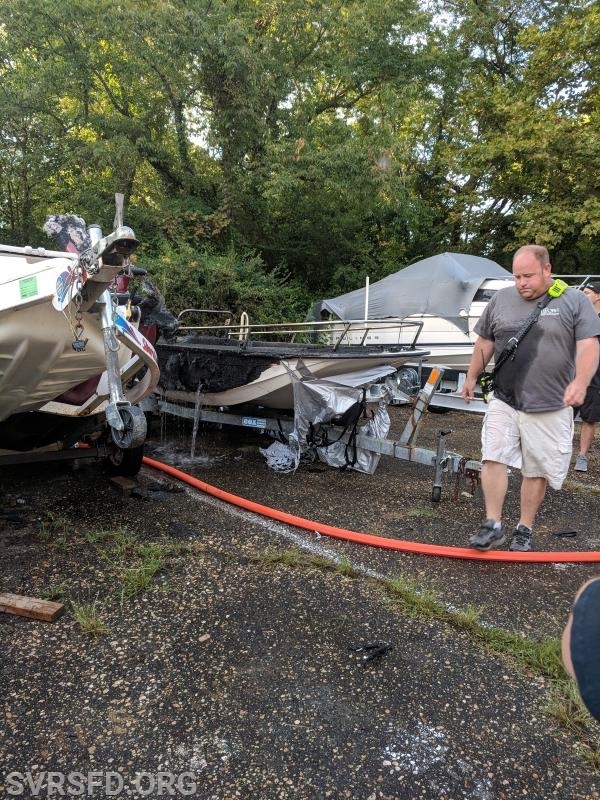 At approximately 1801 hrs Solomons Volunteers were alerted to a boat fire at the Navy Rec Center involving several vessels. 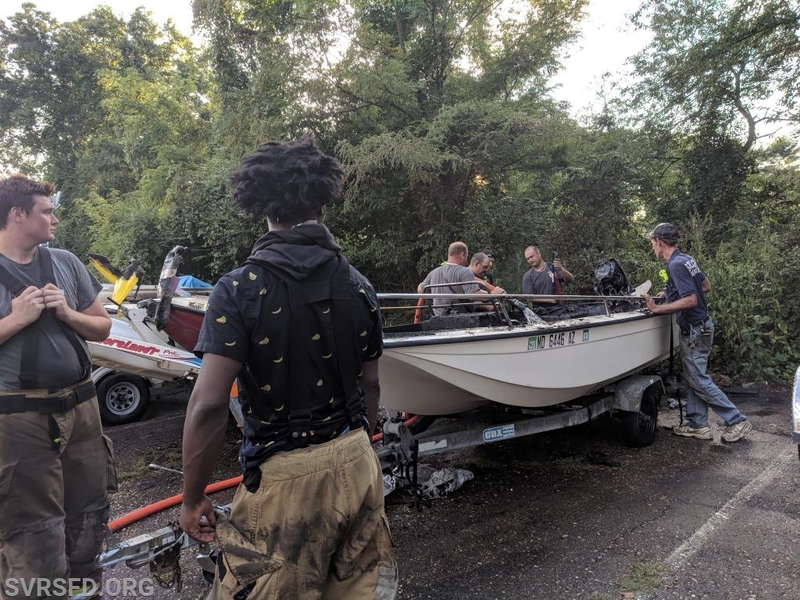 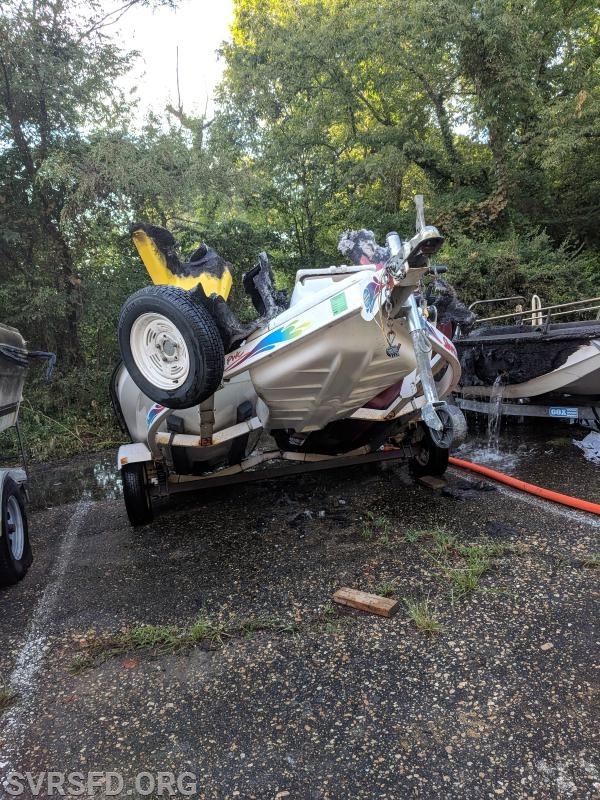 Upon arrival crews found a set of jet skis on a trailer on fire next to several other trailered boats. 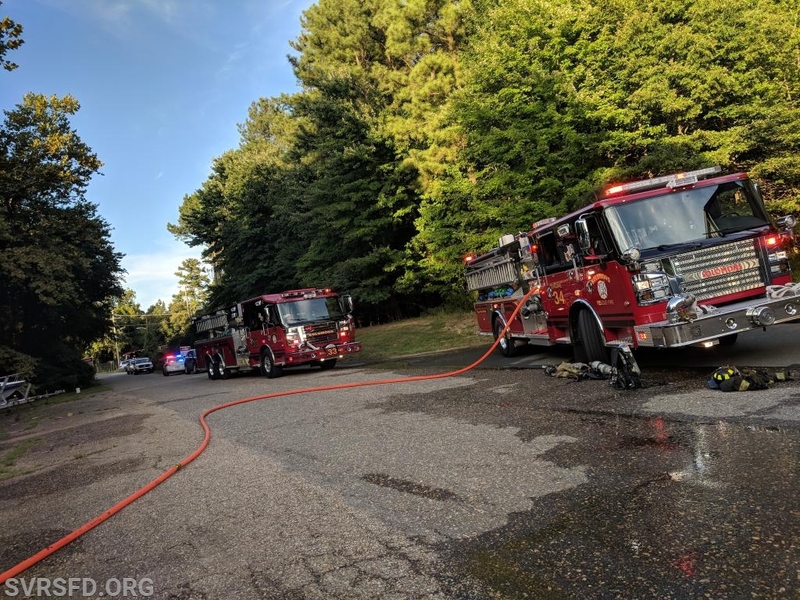 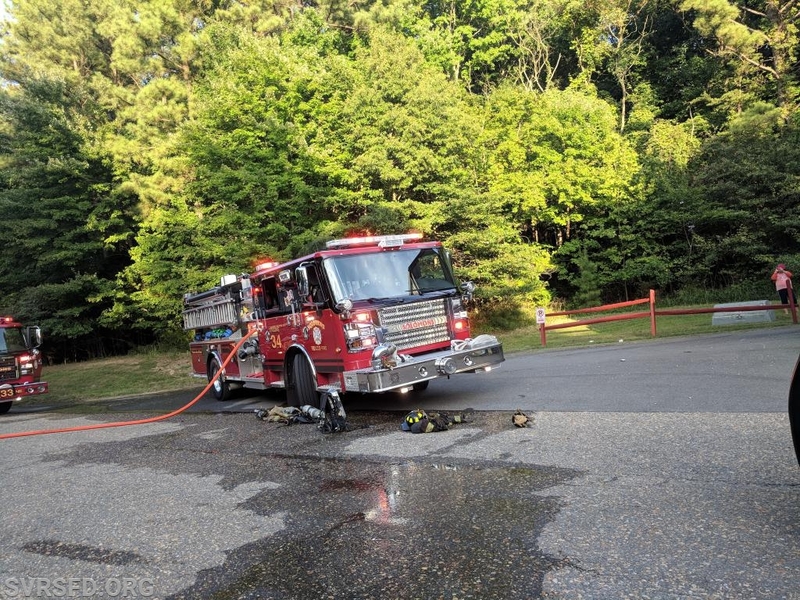 Quickly the crew from Engine 34 extinguished the fire while Ambulance 37's crew attended to the victim. 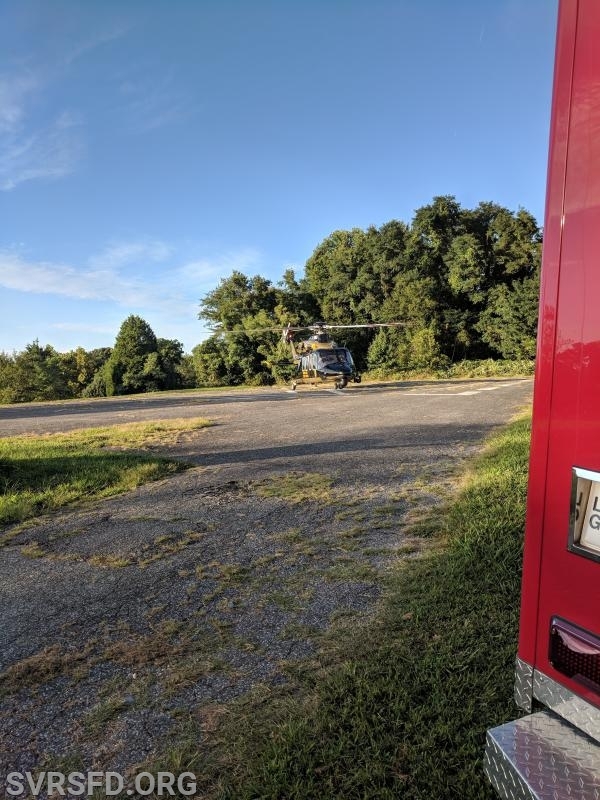 The victim was flown to a burn center while crew cleaned up the incident clearing an hour later.